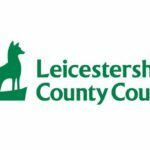 Be a part of an exciting team in the Chief Executive’s Department at Leicestershire County Council. We are looking for a talented and highly motivated individual with a strong eye for detail. This role includes working as part of a team that leads on the County Council’s democratic and decision making process. This is a great opportunity to help shape local democracy, work with senior officers of the Council and County Councillors and can provide a great start to a career in local government and governance. Experience of working in a democratic role in a local authority or a similar organisation would be extremely beneficial but it is not essential. A willingness to meet challenges with enthusiasm and confidence, as well as attention to detail, is key. You will develop or build on a solid knowledge and understanding of the constitutional and legislative framework of local authority decision making and provide detailed advice to elected members and senior officers. You will have the ability to understand complex documents and discussions and be able to extract and summarise the key points. You will be able to demonstrate excellent customer service, strong communication skills and a willingness to develop your role at the Council. Please contact rosemary.whitelaw@leics.gov.uk for an informal discussion about the role.